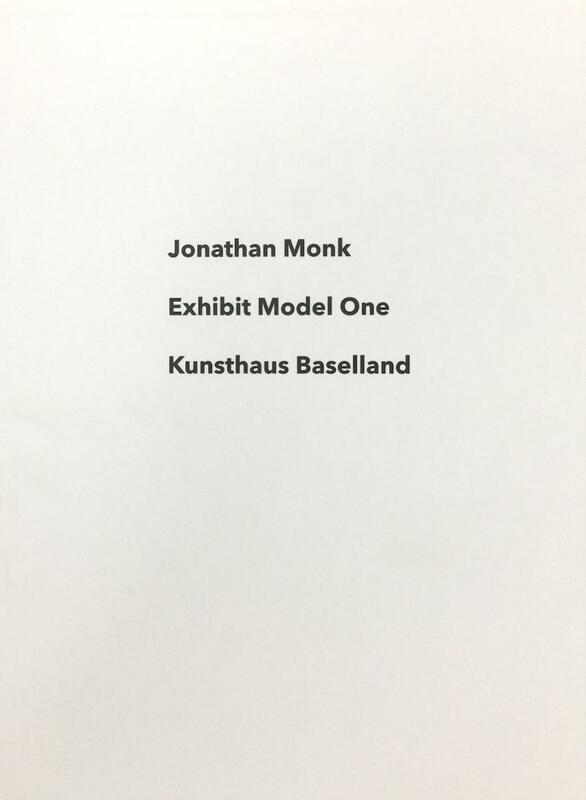 The publication accompanies, reflects and extends the artist's exhibition at Kunsthaus Baselland - an installation that looks like a model; all the works are black and white images of themselves. “My original plan was a straightforward exhibition of objects etc.. But to invent something new, to add a new aspect within the usual framework of realising an exhibition, though also due to the financial constraints, I decided to come up with something that was a new departure for me, yet would still fit within Kunsthaus Baselland’s proposed budget and open up questions about the condition of an exhibition itself.